Just a few short years after a massive corruption ring landed numerous corrections officers in prison and permanently shuttered the Baltimore City Detention Center, the feds have announced yet another bust at a Maryland correctional facility. The United States Attorney’s Office recently announced that twenty defendants have been indicted on federal racketeering charges for their roles various ongoing criminal conspiracies at the Maryland Correctional Institute Jessup or MCIJ. Six of these defendants were corrections officers or other employees at the facility, with one being a high-ranking lieutenant and another being a nurse. Seven inmates and seven civilians were also part of the indictment, which became public after the defendants were arrested. The FBI took part in the press release and reiterated that corruption will continue to be one of their main areas of focus. Eliminating prison corruption has also been a top priority for Governor Hogan after the embarrassing scandal in Baltimore created national headlines for weeks. Since 2015 almost 200 defendants have been charged with crimes related to prison corruption in Maryland. This particular investigation began as early as 2014 and revealed an ongoing smuggling ring at MCIJ, where employees and civilians would conspire to sneak contraband into the facility for pay. 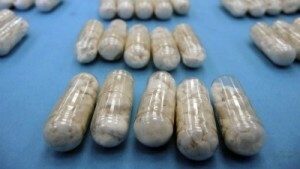 The contraband included narcotics such as MDMA (molly), Suboxone strips and other drugs such as marijuana and K2. Tobacco, cell phones and unauthorized thumb drives were also allegedly smuggled into the facility and paid for by inmates using electronic transactions on the illegal cell phones. This criminal conspiracy is eerily similar to the prior jailhouse conspiracy in Baltimore and other instances of prison corruption across the country. 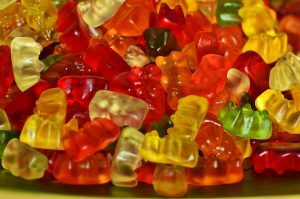 There will always be a market for contraband in prison facilities as we have seen glorified in movies such as Shawshank Redemption, though in Shawshank it wasn’t entirely clear how the inmates paid for their contraband. Untraceable electronic forms of payment such as green dot cards have made the exchange of currency much easier, but outsiders are still needed to physically bring desired contraband into the facility. For some, a cut of the extreme markup that contraband brings is too easy to pass up, but as we see there are serious consequences for taking part in this business. Almost all of the defendants face a maximum of 20 years in prison for the racketeering counts, and half face the same 20-year maximum for conspiracy to distribute narcotics and possession with intent to distribute drugs. The highest-ranking officer faces life in prison for depravation of rights under color of law for allegedly threatening inmates with death or serious bodily injury. Federal prosecutors credited the DPSCS and its employees, who actually initiated the investigation and alerted federal law enforcement to the ongoing conspiracy. While this case could have been prosecuted in state court, it is common for the FBI to take over large-scale corruption conspiracies due to their ample resources and stiffer penalties under the federal sentencing guidelines. The 2019 Maryland legislative session has come to an end, and unlike previous years where marijuana was decriminalized or mandatory prison sentences for certain drug offenses were effectively discarded, there will be no drastic changes to the criminal code come October. While not headline makers, lawmakers did successfully address some minor offenses such as gambling and possession of alcohol, and changes are on the horizon. We previously wrote about a bill that proposed to decriminalize small time gambling, which in our opinion was long overdue. With state casinos booming, and sports betting on the verge of becoming legal in Maryland it really makes zero sense to impose criminal sanctions on citizens engaged in unlawful gambling. Both houses agreed and passed the bill that will now punish illegal gamblers with a civil citation and a fine, rather than a potential misdemeanor conviction and jail time. Anyone caught running an unauthorized casino or taking bets as a bookie still faces criminal liability, though lawmakers did away with the archaic 6-month mandatory minimum penalty. The maximum fine for civil gambling offenses will be $500 if less than $100 is at stake or $1,000 if more than $100 is at stake. Illegal gambling cases were not common to begin with, but now police will be even more motivated to look the other way. Lawmakers also passed legislation that will make consumption of alcohol in public and possession of an open container a civil infraction rather than a criminal misdemeanor. The $100 fine will remain the same, but offenders no longer run the risk of a criminal conviction for drinking a beer, wine or liquor in public. This bill does not directly impact citations for minors in possession of alcohol, which will remain a civil infraction with a potential $500 fine for a first offense. Each of these civil infractions may be prosecuted by the local State’s Attorney’s Office, which is generally a good thing. The SAO has the ability to offer some sort of pre-trial diversion such as community service or alcohol education in exchange for a dismissal, while a district court judge has no such ability. The passage of this bill may affect the way open container violations are handled in local jurisdictions such as Ocean City. Previously public consumption or possession of an open container of alcohol was punishable by jail time in Ocean City, and police officers of this popular summer destination had the authority to arrest those, who for example were leaving Secrets with a drink in their hand. The Blog will pay attention to the local code to see if the city counsel is forced to make any changes to the existing laws regarding alcohol. There was a lot of talk before the 2019 session began that the threshold of criminal possession of marijuana would be raised from 10 grams to one ounce (28 grams) but this change may not be on the immediate horizon. In addition to raising the lawful possession threshold, a Montgomery County lawmaker also proposed to allow adults over the age of 21 the right to use marijuana, to possess up to 5 grams of marijuana concentrates, and to cultivate up to 6 marijuana plants in their homes. The proposal was in the form of a constitutional amendment that would be put to a vote in this year’s general election. While marijuana laws have changed drastically over the last several years the legislature has largely avoided the subject of tobacco. The state has regularly raised taxes on cigarettes and other tobacco products in order to dissuade use, but no major tobacco legislation has crossed the governor’s desk in years. That will change this summer, when the governor will be presented with a bill that effectively raises the age of lawful tobacco use from 18 to 21. The proposed law will modify section 10-107 of the Maryland criminal code, which currently makes it illegal to sell or distribute tobacco products to a minor under the age of 18. Under the new law a person could be subject to criminal charges for selling, or otherwise distributing tobacco products to anyone under the age of 21, unless the person is a member of the United States Military. There is no current proposal to address possession of tobacco products for those under the age of 21, but such legislation could be proposed in the future. If the legislature decides to address underage possession of tobacco it would probably be in the form of a civil citation, much like the current offense for underage possession of alcohol. It is safe to say that traditional cigarette smoking was not the main target of this piece of legislation, but rather vaping that was the objective. The popularity of vaping has spiked dramatically over the past few years due to the technological advances of electronic cigarettes. These devices are discrete and easy to use, and can be charged via USB outlets that are the used with almost every cell phone. Electronic cigarette smoke can contain high amounts of nicotine and offer the smoking sensation without the lingering stale smell, and cartridges come in hundreds of different flavors. 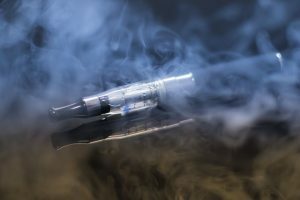 The CDC recently reported that more than 20 percent of high school students have tried vaping in the last month, compared to about 1.5 percent in 2011. Additional studies have shown that raising the tobacco use to 21 could dramatically reduce e-cigarette use among high school students, and Maryland lawmakers have taken notice. The new tobacco law will likely go into effect in October, and enforcement should be expected immediately. Shop owners and employees could face a misdemeanor conviction and hefty fines for violating the new law. A first offense carries a maximum penalty of a $300 fine, but repeat offenders face a $1,000 fine after that. A third offense within 2 years and any subsequent offense after that carries a massive $3,000 fine, which will surely cause tobacco dealers to think twice before selling. This offense is not a strict liability crime, as lawmakers included a provision that allows for an affirmative defense. If upon purchase, a valid form of identification was presented that positively identified the purchaser as over the age of 21 then the seller may not be found guilty of violating the statute. This seems to protect sellers in fake ID cases, as a store clerk should not reasonably be expected to be an expert in facial recognition. Under the law, sellers would be required to card anyone who appears under the age of 30, and businesses would have to present new signage that states nobody under the age of 21 is permitted to purchase tobacco products. Electronic cigarettes and other smoking devices are considered tobacco products, so the new law would likely prevent anyone under the age of 21 from making a purchase at or even entering the local smoke shop. When Are Juveniles Charged As Adults? While it is not stated in any official statute or case law the primary purposes of the adult criminal system are punishment and deterrence of future crime. The term “corrections” is more of a euphemism than the actual truth, and a more accurate term for the agency that oversees the prisons would be the Department of Punishment. 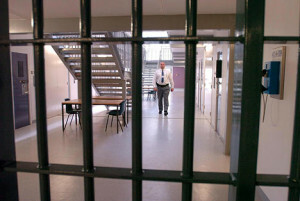 But regardless of what the state decides to call it, the bottom line is that prison and probation does not exist for the benefit of those convicted of crimes in the adult criminal justice system. Thankfully the same harsh reality does not apply to the juvenile criminal justice system. While it’s far from perfect, the juvenile criminal justice system was designed from top to bottom with the best interests of minor defendants in mind. The primary goals of juvenile system are treatment, care and rehabilitation of the defendants. This does not mean that judges and magistrates will shy away from imposing punitive conditions on a child in order to protect the public or deter future unlawful behavior, but the main goal is to help the defendants. For this reason it is extremely important for minor defendants and those that have recently turned 18 to do whatever it takes under state law to keep their cases in juvenile court, or transfer them away from adult court. Before the issue of transfer comes up it is important to understand the Maryland laws governing when a child can be charged as an adult in the first place. All children ages 7 to 17 at the time of the offense in question are considered juveniles, but this does not mean that everyone within this age group will be charged as such. 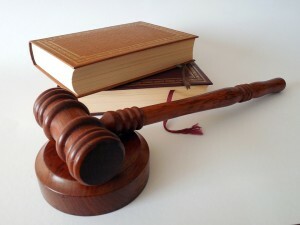 Under Maryland law there are certain statutory provisions that serve to exclude the juvenile court from original jurisdiction over a criminal case (original jurisdiction simply means where the case starts). Any child that is 14 or older and charged with a crime punishable by life in prison will be excluded from having their case heard in juvenile court. These cases (typically murder) will start out in the District Court, and then eventually make their way into the Circuit Court if the State decides to continue prosecution. The next set of exceptions applies to defendants that were 16 or older at the time of the alleged offense, if the offense falls under the statutory exclusion list. Maryland rule 3-804 lists several offenses that disqualify 16 and 17 year old defendants from being charged as juveniles. These defendants will be arrested and charged as adults, and their cases will be listed in the public casesearch database. State law requires that these defendants be housed in a separate facility from adult offenders, but if the child turns 18 while detained he or she will be sent to an adult jail unless a motion to transfer physical custody is filed by a lawyer or filed pro se. There are numerous offenses that will disqualify a defendant from being charged as a juvenile, and all are either felonies or crimes involving firearms. Common disqualifying offenses are first-degree assault, armed robbery, carjacking and possession of a firearm in furtherance of a drug trafficking offense. Second-degree murder, attempted murder and manslaughter are also excluding offenses. Any juvenile that is charged as an adult for one of these crimes will have the opportunity to argue that their case should be transferred to juvenile court. This process is called a reverse waiver transfer, and the motion must be filed within 30 days or it could be waived. Any defendant that is 16 or older and charged with first-degree murder is excluded from transfer, as well as any defendant who was previously transferred and adjudicated delinquent. Federal prosecutors have a reputation for taking on the largest and most complex criminal cases, and recent news headlines have done nothing but support this reputation. In the last few months the feds have convicted one of the largest drug traffickers in history, placed the entire college and amateur basketball world on notice and publicly shamed Hollywood actors for engaging in university admissions scandals. It seems no case is too large, but when it comes to guns in Baltimore no case is too small either. The U.S. Attorney’s Office recently announced that a 24-year old Baltimore man pleaded guilty to unlicensed gun dealing and possession of a firearm by a convicted felon. This case was not tied to any other federal indictment, and the defendant was not part of any large-scale criminal conspiracy that the feds typically prosecute. There were no bank robbery, drug trafficking or gang related RICO claims against the defendant. The facts were straightforward and the case could have been prosecuted by the State of Maryland in the Baltimore City Circuit Court, yet the federal government decided take over. This particular defendant, who had a prior conviction for first degree assault from 2015, pleaded guilty in Howard County to a separate gun related offense in the fall of 2017. Sentencing on the Howard County case was set for the winter of 2018 and the defendant was out of custody, presumably getting is affects in order before he began his sentence. Before the sentencing hearing, a violation of probation warrant from the original assault case became active, and Baltimore Police officers were sent to serve the warrant. Upon initiating a traffic stop the defendant fled from his vehicle and was arrested after a brief pursuit. 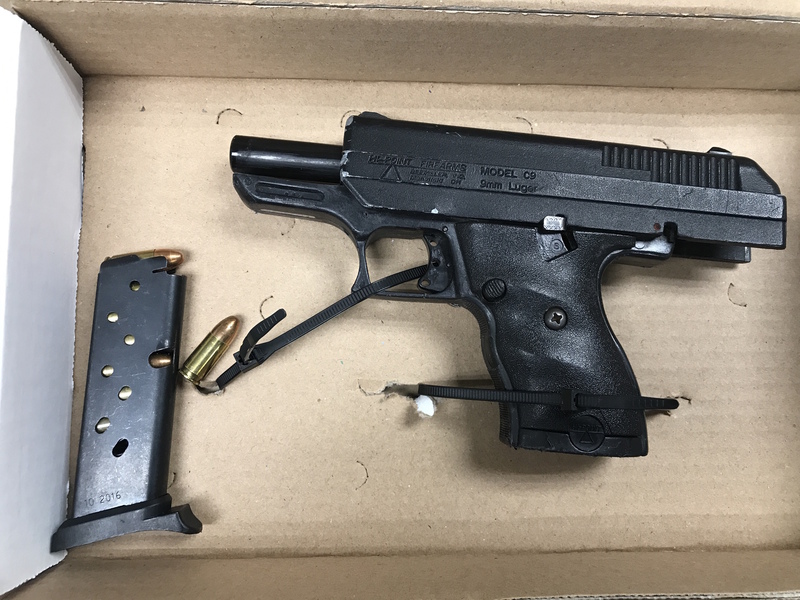 A handgun was recovered along the path where the defendant allegedly fled. After this arrest law enforcement obtained a search warrant for the defendant’s social medial accounts and discovered numerous references to illegal gun sales, which prompted the feds to assume prosecution of the case. The 24-year old was sentenced on the two Howard County cases where he received the full backup time for the violation of probation and five years for the unlawful firearm possession case. He now faces up to 15 years in federal prison for the case where he recently pleaded guilty. Regular readers of the Blog are well aware of federal government’s increased involvement with Baltimore City gun cases. It has become clear over the last decade that the local government simply cannot control violence in the city. It’s not just the murder rate, which is the highest among any major U.S. city but also the shootings, robberies, burglaries and carjackings that are all at critical levels. For the most part people just do not feel safe in Baltimore, and the population is declining as a result. The city is also having trouble hiring new police officer and retaining its own. Being arrested or finding out that a loved one has been arrested is an unpleasant experience to say the least, but knowing what lies ahead can eliminate some of the stress and anxiety about the situation. Most people that are arrested in Maryland are booked at the police station and then taken before a District Court Commissioner. Those arrested on a failure to appear or violation of probation bench warrant will go directly to the commissioner. While we could write an entire article on the pitfalls of the commissioner system, we’ll save that for another post and just stick to offering a general overview of the arrest process. The commissioner will look at the charging document and first make a determination whether there is probable cause that the defendant committed the charged offense. Then the commissioner will determine whether the defendant will be released and with what conditions. For non-violent offenses such as theft or drug possession defendants will typically be released on their own recognizance. Out of state defendants may be required to post a bail, but the bail could be unsecured, which means the defendant will only have to pay money if he or she does not show up to court. Defendants charged with violent offenses such as second degree assault and more serious misdemeanors such as burglary or firearm possession may still be released by the commissioner, but typically with pre-trial supervision. Pre-trial supervision is similar to probation, in that the defendant will be supervised prior to the case going to court. Pre-trial supervision can include strict conditions such as home detention and could also be lenient and only require the defendant to call in once a week. When a defendant is released on any case involving a victim the commissioner will almost always put a no contact order in place, and violation of this order could result in an arrest warrant being issued. Defendants that are charged with a felony (or even misdemeanor gun possession in Baltimore City) may face an uphill battle when they go before the commissioner. Exceptions are felony theft cases with a value of less than $100,000 and possession with intent to distribute marijuana. Those charged with distribution of narcotics are also frequently released by the commissioner, but if large quantities of heroin or fentanyl are recovered then the defendant may be held without bail. Anyone who is not released by the commissioner or who fails to post bail by the next business day will be brought before a judge for a bail review. These initial bail reviews are usually done by video and the defendant will not be brought to court. The judge will first hear from a pre-trial release officer on whether the defendant qualifies for supervision and then the lawyers will have a chance to speak. The Assistant State’s Attorney will speak first, and typically go along with pre-trial’s recommendation, though in Baltimore City cases the district court prosecutors frequently ask for the defendant to be held without bail regardless of what pre-trial says. The defendant’s attorney will then have a chance to argue why his or her client should be released. The attorney must touch on the two main issues of assuring the judge that the defendant will return to court (flight risk), and convincing the judge that the defendant is not a danger to the community. Defense lawyers are not typically permitted to call witnesses at bail review hearings, but they may proffer to the court what a witness would have said, and also point out any family members that may be in attendance. 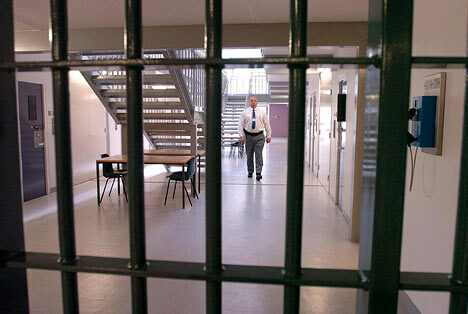 Having family present during a bail review may be the difference between release and being held, as judges like to see that a defendant will have a stable place to live upon release. Street level drug distribution cases in Maryland are typically handled in state criminal court, as the Feds have traditionally earmarked their manpower and money only for large and complex drug trafficking rings. Times appear to be changing though due to a substance that is quickly becoming public enemy number one, and is causing the feds to expand their role in street and mid level drug trade. Fentanyl has been around for decades after first arriving in the 1960’s as a popular and potent intravenous pain reliever. It then became popular in the 90’s as a method of treating chronic pain in the form of skin patches. The drug would slowly absorb into the bloodstream through the skin, as the patches could effectively deliver medication for hours. There were cases of fentanyl abuse back in the 90’s; those seeking a high realized that the patches could be opened, which provided access to larger quantities of the medicine that could be ingested at once. This form of fentanyl abuse was even discussed in a popular Carl Hiassen novel, though it never really made headlines. In 2005 to 2007 the drug began to appear on the DEA’s radar after causing over 1,000 overdose deaths in a two-year span, but still it hardly became a national story. Fast-forward 10 years, and the narrative has changed drastically. In 2016 fentanyl passed oxycodone and heroin as the leading cause of overdose deaths in the country. Fentanyl is now right up there with heroin as priority number one for law enforcement officers, and it might just be alone at the top. The potency of the drug, which is 80-100 times greater than Morphine is to blame for the deadly statistics, but potency alone does not tell the full story. Fentanyl has always been extremely deadly and now it’s cheap and widely available. It is manufactured in labs overseas and after arrival in the U.S. is mixed or cut with other drugs such as heroin to reduce costs while not sacrificing effect. In most cases the users and even the street level dealers have no idea that their product is laced with fentanyl. It is truly a silent killer, and federal law enforcement is taking notice. Two weeks ago the U.S. Attorney’s Office announced that an Anne Arundel County man was sentenced to almost five years in prison for possession with intent to distribute over 40 grams of fentanyl. Law enforcement executed a search warrant of the defendant’s residence back in 2017 and the search yielded more than 6,000 pills of the deadly narcotic as well as cash and Bitcoin mining equipment. The defendant apparently used the cryptocurrency to purchase 10,000 fentanyl pills on the dark web. In this press release following sentencing the U.S. Attorney announced that drug traffickers dealing in fentanyl face increased odds of federal prosecution, and that federal law enforcement will pursue those involved with dark web sales of the drug. Last week the federal prosecutor’s office in Baltimore announced yet another fentanyl related case, this time it was the indictment of six individuals in Hagerstown alleged to have been involved in the distribution of as much as two kilograms of the narcotic. Some of the Washington County defendants also face firearms charges after multiple loaded guns were seized. Two of the defendants have prior felony convictions that prohibit them from possessing firearms under state and federal laws. Under federal law possession of a firearm by a convicted felon or other prohibited individual can result in a ten-year minimum mandatory sentence, while the Maryland version carries a five-year minimum. What Prohibits Someone From Owning A Gun? 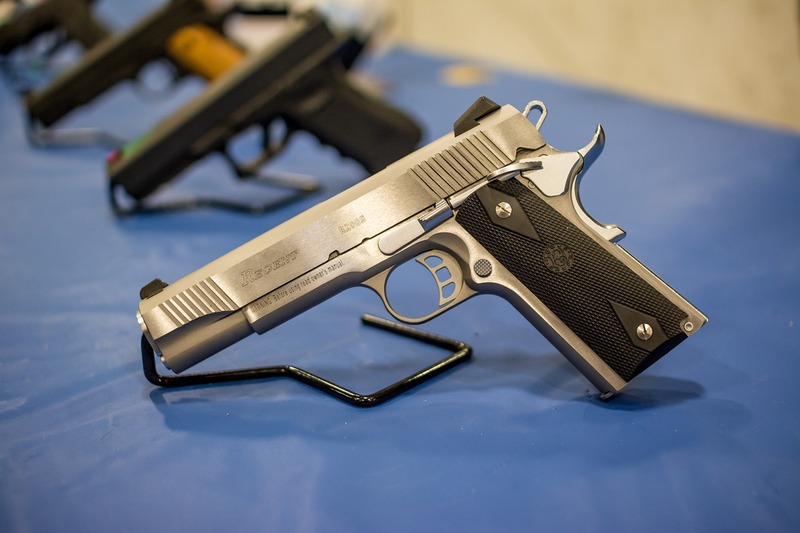 Over the last decade Maryland lawmakers have specifically targeted handguns by making them harder to purchase, sell and even manufacture. The legislature has made specific findings that are part of the criminal code that basically hold handguns responsible for the alarming increase in serious injuries and deaths that occur during the commission of violent crimes. As a result of these findings lawmakers have passed some of the toughest gun laws in the country. 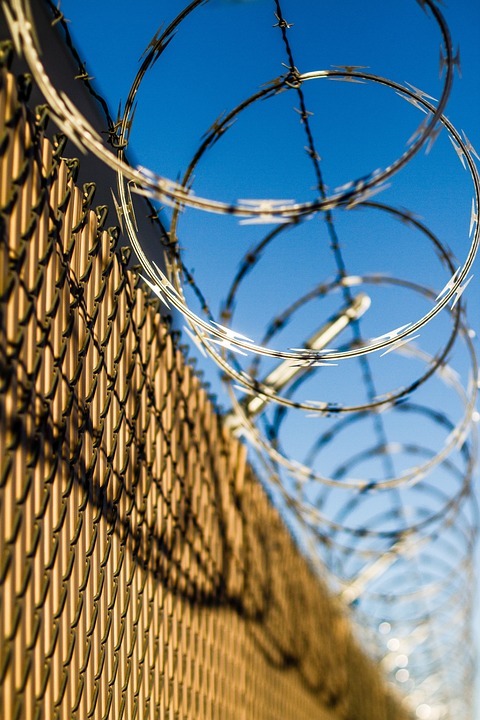 These laws can carry lengthy prison sentences, and in jurisdictions like Baltimore City they can cause defendants to be held pretrial without bail for months. This is true even for non-violent gun possession cases where there were no injuries and the gun was not brandished or used in a threatening manner. For some defendants simple gun possession is enough to cause a no bail hold and the real possibility of jail. The gun laws in Maryland are strict and complicated, which makes understanding them extremely important. Simply possessing or transporting a handgun in an improper manner can result in a misdemeanor charge for wear, transport and carry. This offense has a 3-year maximum penalty and a 30-day mandatory jail sentence that must be imposed upon conviction unless the court grants probation before judgment. While it is not out of the question, most defendants that are only charged with misdemeanor gun possession will be able to either post bail or be released or their recognizance. With good representation these defendants could avoid serving any jail time. Misdemeanor possession is a pretty straightforward offense, as you cannot carry a gun in public or drive with a gun unless it is unloaded, in a case and separated from the ammunition. You also may only drive with a handgun if you are going to and from you house, the shop or the range. The complex part of the Maryland gun law is figuring out who is actually disqualified from owning or possessing a firearm in any manner. While there are different laws that separate handguns from rifles and shotguns, a disqualified individual cannot possess any type of firearm. There are numerous reasons why a person can be disqualified from firearm possession, with the most obvious being a felony conviction. Many people think that a felony conviction is the only reason that they may be prohibited from possessing a gun, but in Maryland this is not the case. A person who is convicted of a disqualifying crime may not possess a firearm, and faces the possibility of a felony charge under Title 5 of the Public Safety Code. This law carries a 15-year maximum penalty with the possibility of a 5-year minimum, so avoiding this charge at all costs is key. As it became more likely that medical marijuana would soon be legal in Maryland, lawmakers simultaneously realized they needed to modify the criminal laws regarding marijuana possession. Amongst other reasons, it just didn’t make sense to subject a person to criminal prosecution and possible jail time for possessing a substance that was about to become legally available. We recently published an article about the possibility of sports gambling becoming legal as early as this year, and following the path of marijuana, lawmakers in Annapolis are already proposing to alter the criminal laws regarding gambling. 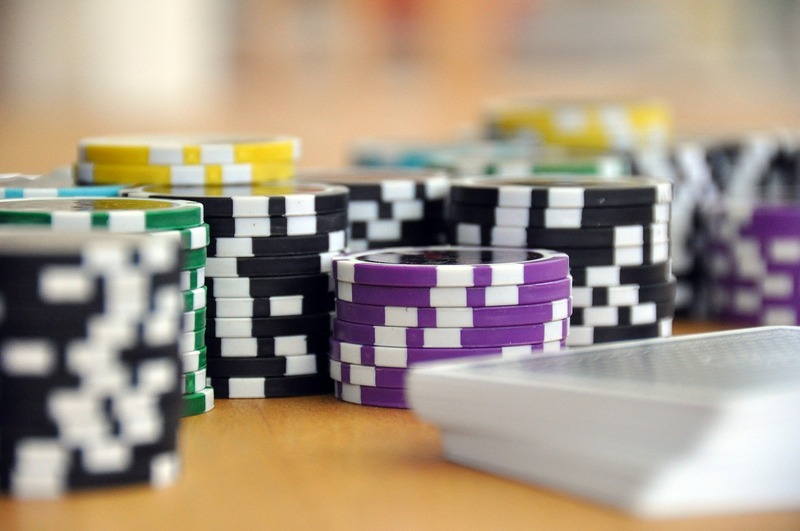 The Maryland gambling laws are strange to say the least, and it doesn’t seem like they have been given much attention over the years. Gambling is not a common crime because save for some large scale book making operations or home casinos the police seem to have better things to do with their time than bust March Madness pools and small time poker games. Plus most people including police officers, prosecutors and judges, have taken part in some form of social gambling in their lives. Still, it is not out of the question for an unlucky gambler to be made an example of just to remind the rest of us that until it’s legal it’s illegal. 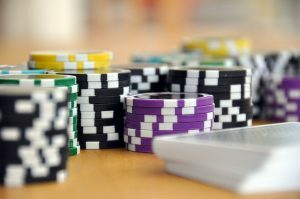 The few unlucky defendants that are prosecuted under Maryland state gambling laws are usually surprised to learn that all forms of gambling are grouped under one law. Section 12-102 of the criminal code makes it illegal to bet, wager and gamble. This same section also makes it illegal for a person to sell a book (take bets), run sports pools and keep an underground business where gambling takes place. Logic would dictate that those who are running underground casinos and taking bets would face harsher penalties than the gamblers themselves (similar to drug use/possession vs. drug distribution) but this is not the case. All forms of gambling in Maryland are punishable by the same 1-year maximum penalty, and have a completely harsh and archaic 6-month mandatory jail sentence. Yes, you read that correctly- gambling convictions carry mandatory jail time, which is six times greater than the mandatory jail time for wear, transport or carry of a firearm under 4-203. Marijuana has been a major issue for state lawmakers in almost every recent legislative session, and this year is shaping up to be no different. Despite all the progress over the last five years in crafting state marijuana policy there are still numerous key issues that have yet to be settled. Without a doubt the headliner is the legalization of recreational use, but realistically 2019 does not appear to be the year where it’s going to happen. 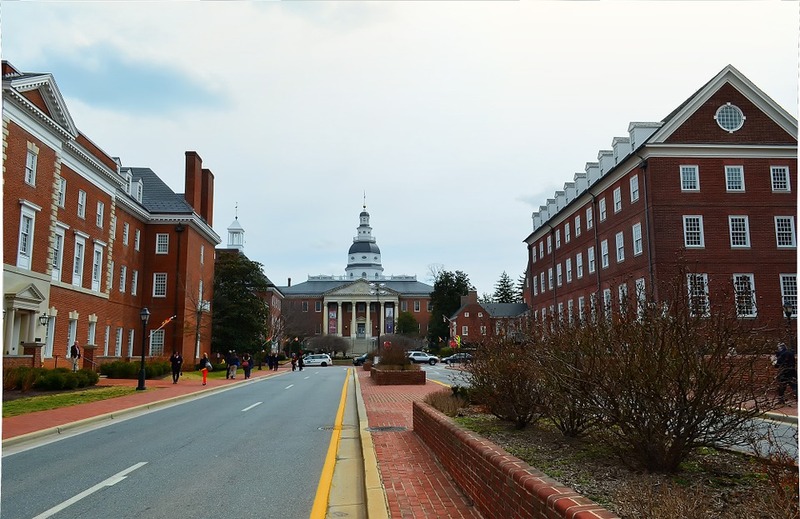 Legalization aside, there are still smaller points that need to be addressed, and many will be debated in Annapolis over the coming weeks. One of the most common questions defendants ask is whether their probation can be violated for testing positive for marijuana. The simple answer is that a positive THC test can subject a defendant to a violation of probation, but what happens after a violation is submitted depends on a variety of factors. A standard condition of all Maryland probation sentences is that the defendant shall not illegally possess or use controlled substances, and marijuana is still a controlled substance in our state. A defendant who does not have a state medical cannabis license could easily be subject to violation of probation sanctions for a positive test, or even a civil possession citation. Obtaining a medical license could create a defense that the marijuana was possessed and used legally, but the idea for medical users is not to be violated in the first place. Licensed medical patients may be better off informing their probation officer ahead of time, rather than attempting to explain a positive test after the fact. The flip side is the argument that being a medical cannabis patient is protected health information that defendants should not be required to disclose. The reality is that probation officers and the courts have bigger things to worry about, and lawmakers have taken notice. Rather than continue the back and forth over a substance that will likely become legal in 2020 one lawmaker has introduced a bill that would bar a positive marijuana test from being considered as violation of parole, probation and pre-trial release. There are exceptions to this rule such as when the judge specifically orders the defendant to abstain from the use of marijuana, but overall this law would clear up a great deal of confusion and alleviate an unnecessary burden on the courts. The same bill also proposes that the threshold for a criminal versus civil infraction for illegal possession of marijuana be increased from 10 grams to 1 ounce (28 grams). This proposal has been debated in other legislative sessions, and almost became law last year. Though it may not end up being a hugely impactful change, certain lawmakers have repeatedly questioned the arbitrary nature of a 10-gram limit. This bill also includes language creating a presumption that possession of less than an ounce does not support a felony charge for possession with intent to deliver, but the State could rebut this presumption with specific evidence of dealing.